PT ASDP Indonesia Ferry (Persero) - Indonesia Ferry is a well-established state-owned transportation company in Indonesia with core business focus on sea transportation services. Headquartered in Jakarta, Indonesia Ferry operates primarily as an operator of roll-on/roll-off ferry transport services. 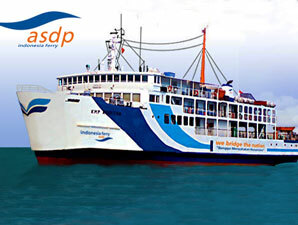 PT ASDP Indonesia Ferry (Persero) is non listed state-owned company and is fully-owned by the government of Indonesia. The Company was established in 1973 and initially registered as Proyek ASDP Ferry (PASDF). PT ASDP Indonesia Ferry (Persero) was officially established in 2004. According to information found in the Company's website as cited by JobsCDC.com, Indonesia Ferry runs its business through 30 branch offices spread across Indonesia. Indonesia Ferry offer 180 ferries routes services through 135 Ro-Ro shop fleets, and 35 feries ports. The Company's head office is registered at Jl Jend Achmad Yani Kav 52A, Jakarta 10510. Indonesian citizen (WNI) with the maximum age of 28 years old before 15 March 2018. Physically and mentally healthy and drugs free. Willing to be placed in all work area of PT ASDP Indonesia Ferry (Persero). Graduated from a reputable university with accreditation A / Balai Transportasi. JobsCDC.com now available on android device. Download now on Google Play here. Please be aware of recruitment fraud. The entire stage of this selection process is free of charge. PT ASDP Indonesia Ferry (Persero) - D3, S1 Fresh Graduate Program ASDP January 2017 will never ask for fees or upfront payments for any purposes during the recruitment process such as transportation and accommodation.